Iain Douglas Kemp lives and works in Almería, Andalucía, Southern Spain. He has been writing for over 30 years. He considers himself a Poet first and a teacher second. His influences include Leonard Cohen, Bob Dylan, Wes Magee and Stevie Smith and twenty thousand song titles. Publishing credits include a weekly poem in “The Reader”, free English language newspaper for the Almería region, sadly now no longer in print. The short poem “visual echoes” was published by Barbara Subraman/Gypsy Art Show in the visual poetry/music collaborative work “GAZE” in January 2010. In May 2010 the poem Peregrine was recorded for podcast on the ‘Born Free Foundation’ Web site by Virginia McKenna, the first time this has been done other than for the poet in residence! In May 2013 Virginia McKenna recorded the poem Thunderbirds . 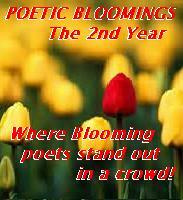 He has poems include in “Prompted – An International Anthology” and also “Poetic Bloomings – The First Year”. He is a member of the on-line poetry group “The Baker’s Dozen” with whom he writes regularly in between his busy schedule as a teacher of English as a foreign language. He also contributes regularly to Poetic Asides with Robert Lee Brewer and Poetic Bloomings. He has made a series of live readings at local venues in Spain which were recorded for subsequent podcast. He is also a musician and singer/songwriter playing drums, percussion and harmonica – currently bandless but looking forward to new projects. Other projects will hopefully include the publication of a collection of poems and some fiction pieces . He used to cook professionally but now just does so for pleasure and shares recipes for others to enjoy here and on Facebook. Summers are spent in UK at Oxford University teaching English at summer school and his adventures there are also being recorded here.